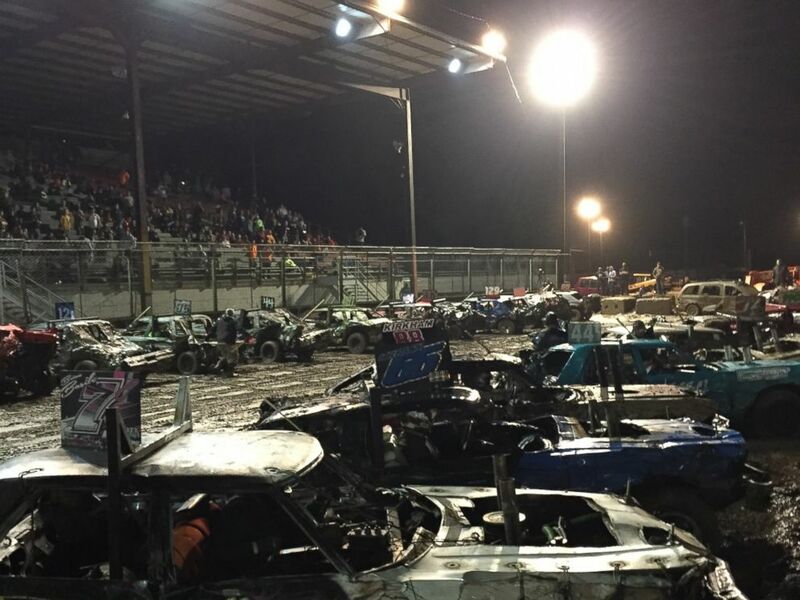 The muddy, rumbling arena in Pecatonica, Illinois, looked like a scene from “Mad Max.” Helmeted gladiators, strapped into what once were Detroit’s finest, now stripped of anything that might break or burn, gunned their engines, and a deafening noise drowned out the roar of the crowd. The goal here is simple: Be the last vehicle still able to inflict some damage, and may the best woman win. 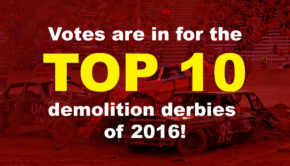 This was Metal Mayhem 2015, a national demolition derby contest where drivers, men and women from across the country, battle for the chance to win $20,000 in prize money. 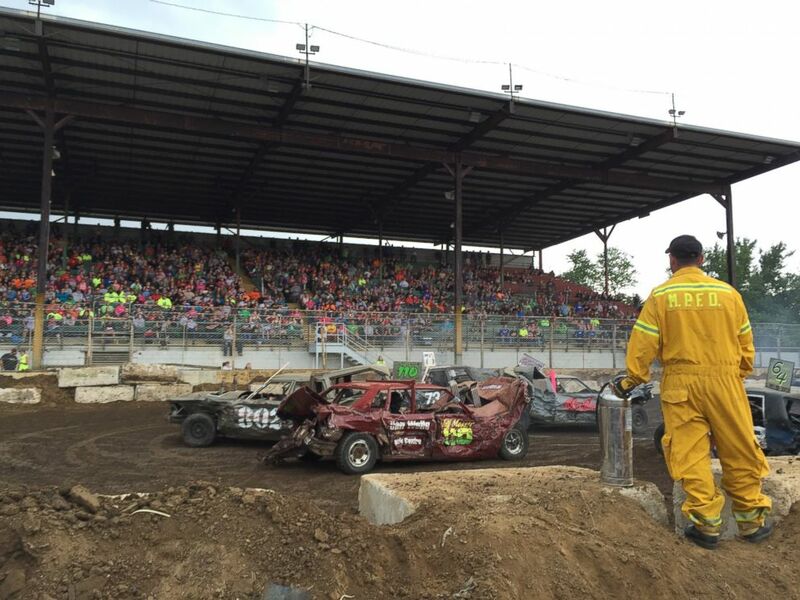 Some of the fiercest drivers at this year’s event, held at the Winnebago County Fairgrounds in June, were moms. Kim Potocki, a stay-at-home mother of two and part-time Little League coach from Chelsea, Michigan, can crash up cars with the best of them. 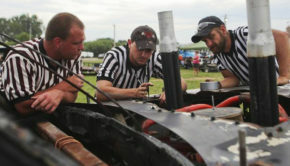 Drivers have to compete in individual qualifying heats before they can make it to a main heat or feature finals. Although the women’s heat is still known as the Powderpuff, there’s nothing soft and dainty about it. The competition features lots of grinding metal and thick black smoke from the occasional engine fire. The last car still running to make a hit wins. 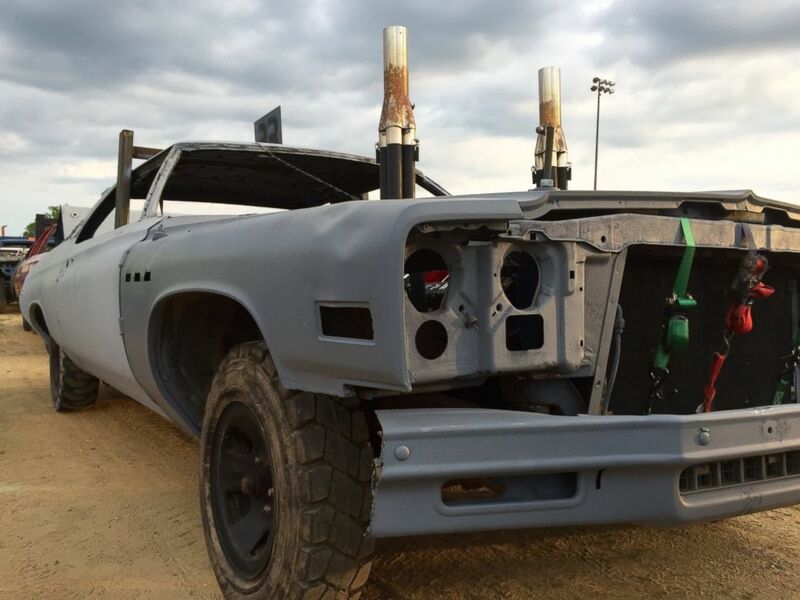 Potocki has competed in 17 demolition derbies in the past nine years, and this year’s Metal Mayhem was her biggest competition yet. She squared off against 300 of the top derby drivers, including her husband, Chris. Potocki’s main competition this year was another mother of two: Vicki Schutte of Monroe, Wisconsin. 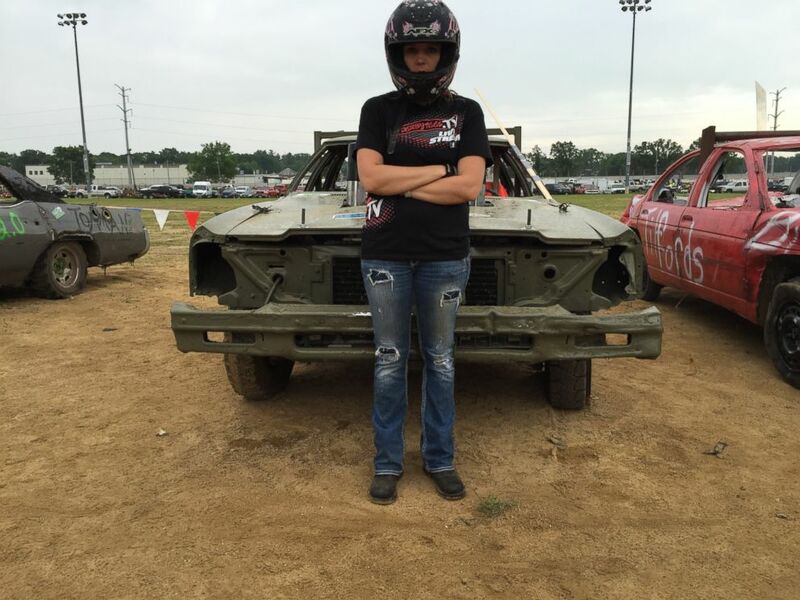 A welder by day, which is a useful trade in this sport, Schutte has demolition derby in her blood. “That’s the bottom line,” he added. Vicki has had a string of successes in the derby pit, and her “destructive tendencies,” as newspaper articles have called it, are well-documented. Once drivers put on their helmets, a requirement for competing , and climbed behind the wheel of a roaring machine, it was tough to tell the women from the men, and no one was holding back. 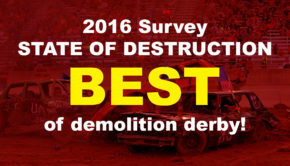 Demolition derby can be a dangerous game. After all, the main objective is crashing and cars regularly flip and roll. In her qualifying heat at Metal Mayhem, Vicki Schutte suffered a serious glitch when her drive shift failed and turned her car into a sitting duck. 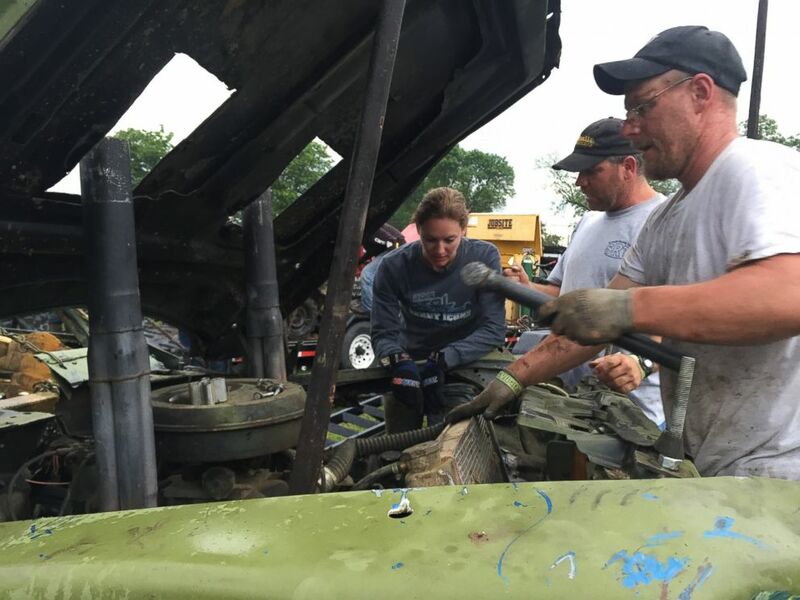 Kim Potocki emerged muddy but victorious from her heat and worked quickly to prep her battered car for the finals. Husband Chris had been knocked out of the derby by this point and helped her get the car ready. 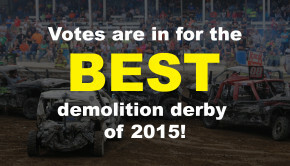 Drivers compete in the finals at Metal Mayhem 2015 in Pecatonica, Illinois. When Potocki jumped into the driver’s seat for the final round, she was the only women among the 50 derby drivers competing. And when that flag dropped, it was a free for all. Alas, it was not Polocki’s day. “Overall, the whole competition has been great … a lot of good cars … a lot of fun so I think it was a good success,” she said. She may be back to driving the carpool tomorrow, but she was already thinking about her next Metal Mayhem.